I hope you enjoyed your Thanksgiving holiday weekend! I know I did. Instead of bombarding you with a Cyber Monday special, I thought I'd send off a post Cyber Monday email, sloth style, with a special sloth discount of 10% off my shop. Go ahead, sloth around with it until Sunday! Enter coupon code: slothholiday at checkout. 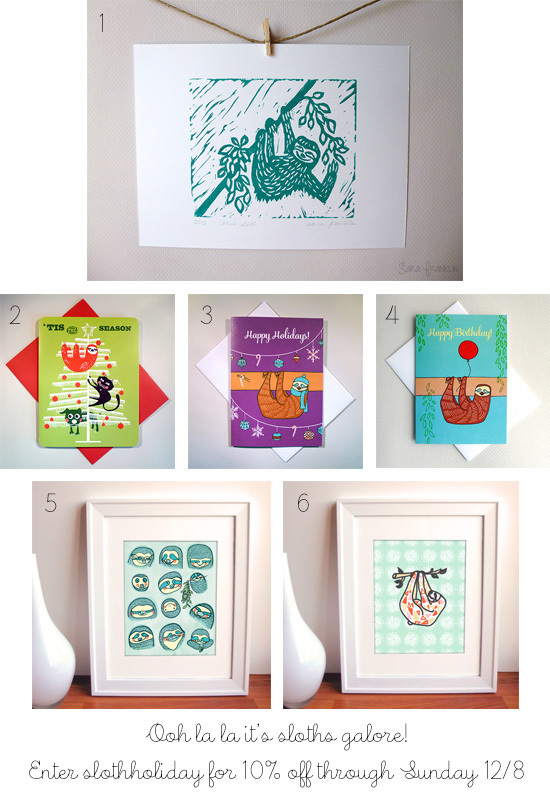 I haven't made it to Costa Rica yet, but until I do, here's a gift guide for the ultimate sloth fan including my freshly pressed blue sloth block prints!